Phillips will conduct auctions of 20th Century & Contemporary Art, with a day sale on Wednesday, May 16th, and an evening sale on Thursday, May 17th, online and at Phillips’ New York City gallery. 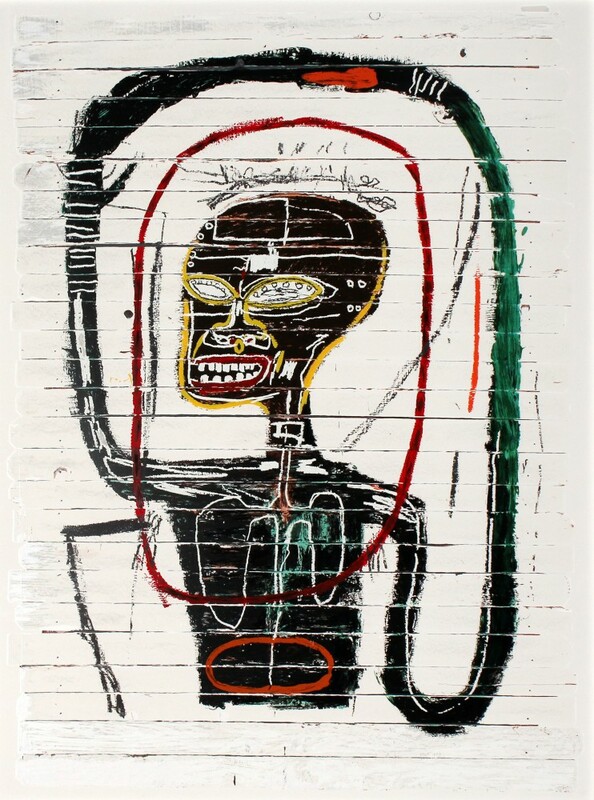 The evening sale, at 5 pm Eastern, has just 38 lots but is led by Jean-Michel Basquiat’s Flexible (1984). 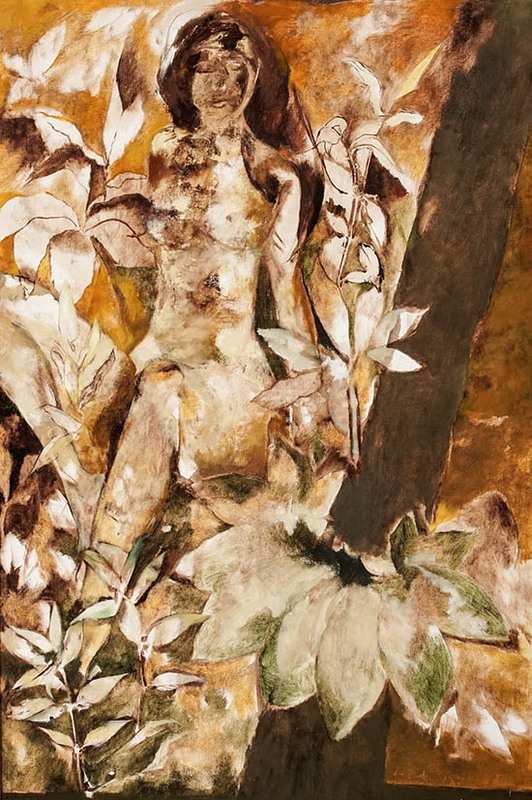 The 8 ½ foot tall painting is expected to bring more than $20 million. Also sold will be Robert Motherwell’s At Five in the Afternoon (est. $12-$18 million); Mark Bradford’s Black Venus (est. $5-$7 million); Sigmar Polke’s Stadtbild (est. $12-$18 million); and Andy Warhol’s Last Supper (est. $8-$12 million). The evening sale will also include artworks by Gerhard Richter, Cady Noland and Maurizio Cattelan. The day sale will have two sessions. The morning session, at 10 am, features John Chamberlain’s Chamooda (est. 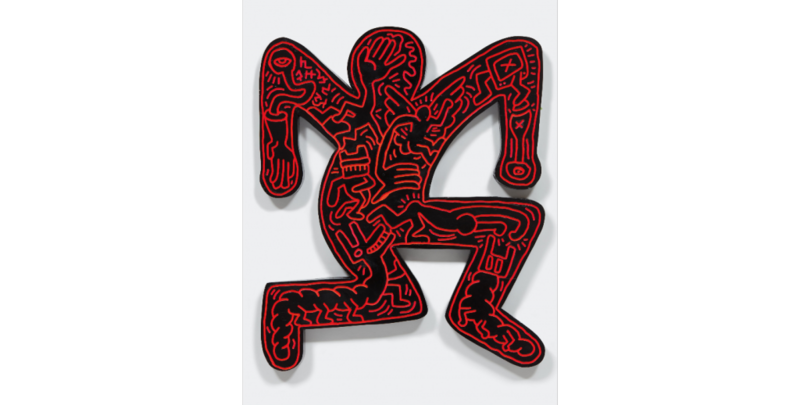 $600,000-$800,000) and an untitled Keith Haring work from 1983 (est. $400,000-$600,000). Other artists will include Yayoi Kusama, Henry Moore, Sam Francis, Donald Judd and Carol Rama. 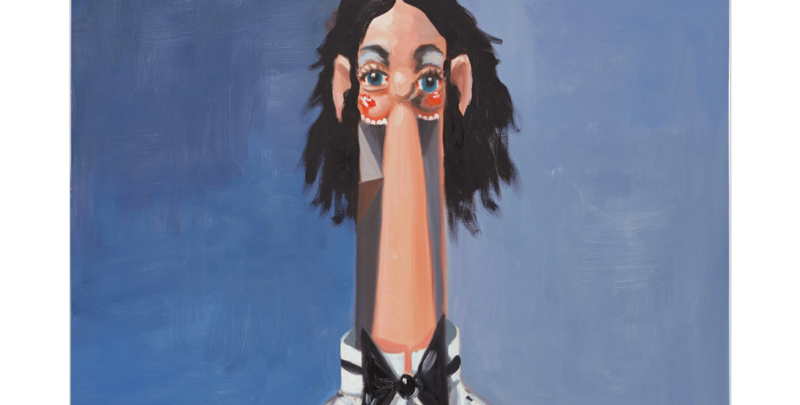 The afternoon session, at 2 pm, will be led by artworks by George Condo (est. $500-$700,000) and Stanley Wright (est. $800,000-$120,000), plus works by KAWS, Jim Hodges and Richard Prince. To view all items being auctioned, click here. 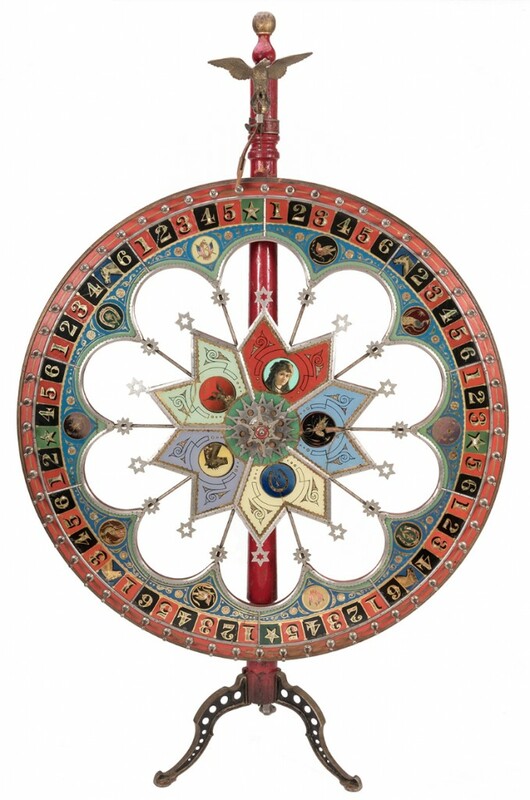 Potter & Potter Auctions' May 19th Gambling Memorabilia Sale will feature over 500 lots of books and catalogs, cheating devices, poker accessories and gaming rarities from the Bob Rosenberger gambling history collection. The signature annual event will also present a full spectrum of materials from the San Francisco firm of Will & Finck – the renowned knife maker and gambling supply house – including the only Will & Finck catalog in private hands. The sale will be held online and at the firm’s Chicago gallery. All lots are on display and available for public preview, May 16-18 from 10-5 in their facility. Of special note are the more than 70 lots of books on poker up for bid. 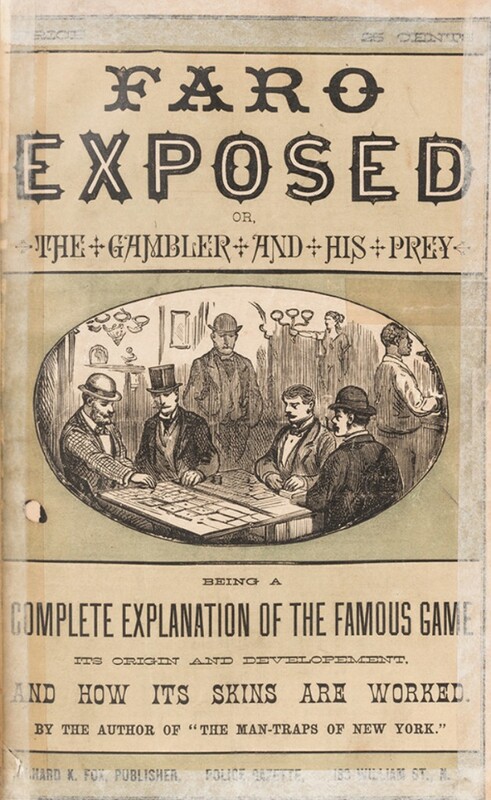 These include the sale’s expected top lot: a copy Alfred Trumble's 1882 book Faro Exposed; or, The Gambler and his Prey. Being a Complete Explanation of the Famous Game, its Origin and Development, and how its Skins are Worked (est. $20,000-30,000). Faro was arguably the most popular card game of the Old West. 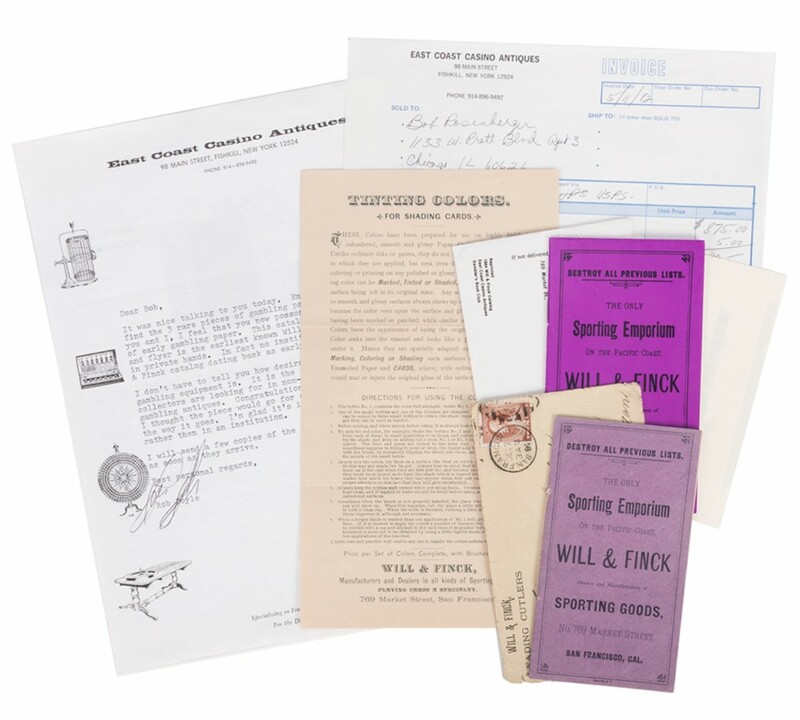 Also offered will be a collection of seven late 19th century poker magazines; about 100 lots of case keepers, dealing boxes, markers and apparatus; cards, chips, and dice; and collectibles, advertisements and other coin-op rarities. To see more, click here. 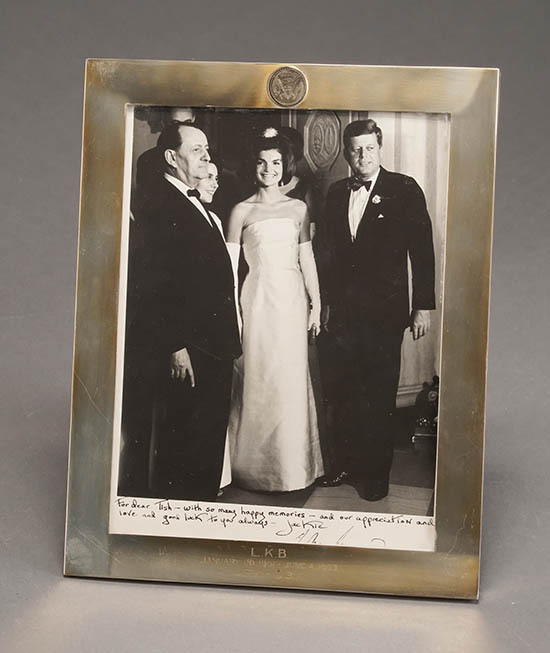 Weschler’s May 11th auction on Friday, May 11th, online and in the firm’s Washington, D.C., showroom, will feature presidential items from the estate of Letitia “Tish” Baldridge, who served as Jackie Kennedy’s social secretary from 1961-1963. Included will be a signed photo of Jackie and JFK in a sterling frame with the White House seal and a dedication to “Tish”; three handwritten letters to Baldridge from Jackie; and an assortment of White House photos. Also in the sale are three early 20th century Louis Vuitton packing trunks, all from the Deering and McCormick families of International Harvester fame. Contemporary art will include works by Jacob Kainen, Victor Vassarely, Louise Bourgeois, Krishen Khanna and Shinichi Maruyama. African American art will feature works by Sam Gilliam and Lois Mailou Jones. Additional fine art will be from artists that include Emilio Sanchez-Perrier and Michael Delacroix. 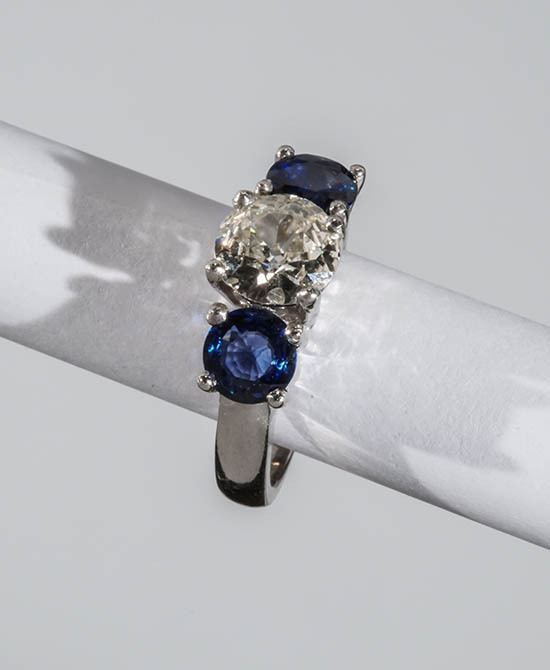 The auction will also feature wonderful decorative art objects, several marvelous silver pieces (including a Faberge blue and green enamel bratina), a selection of Underwood & Underwood stereoview stereoscopes (plus photographs and accessories), and high-carat diamonds and sapphires. For more info, click here.